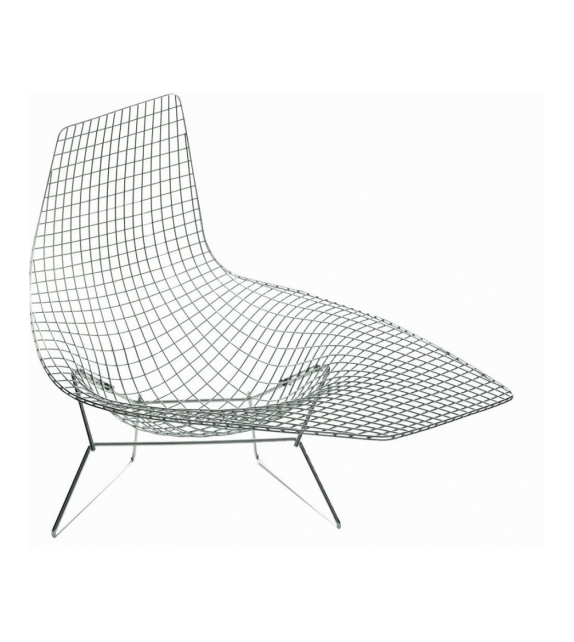 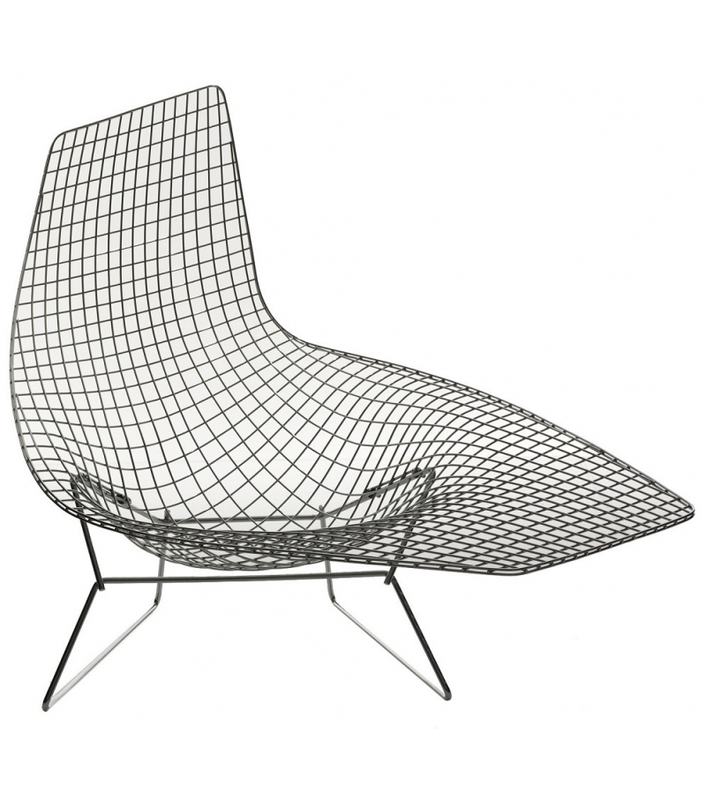 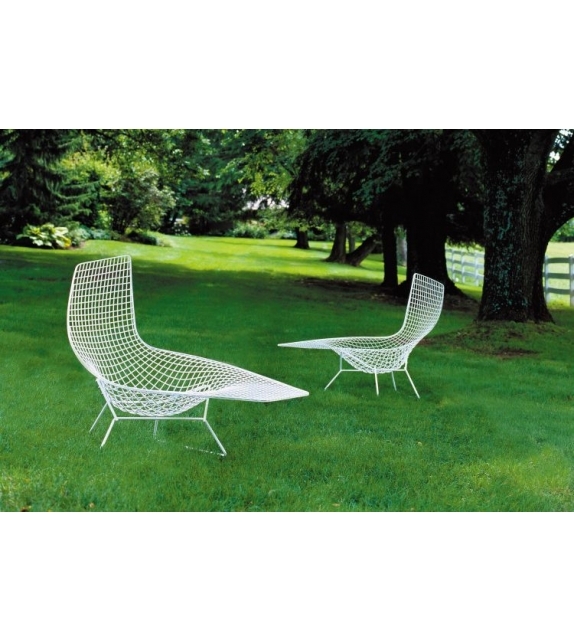 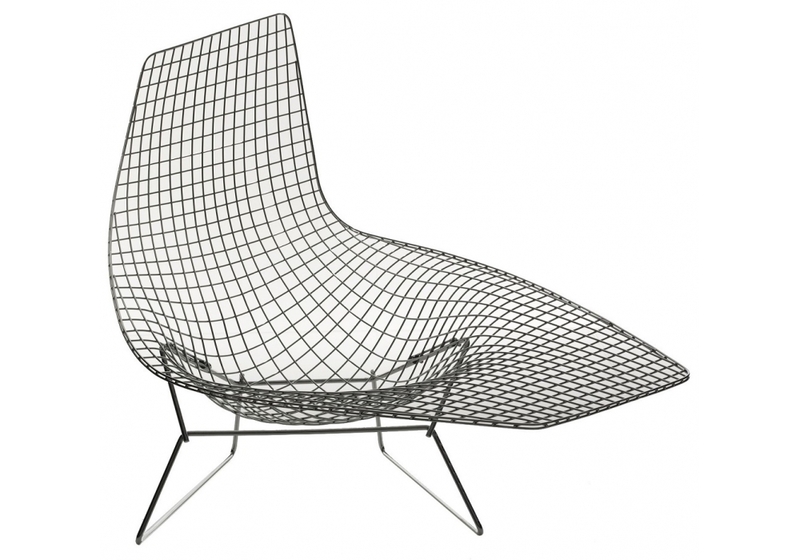 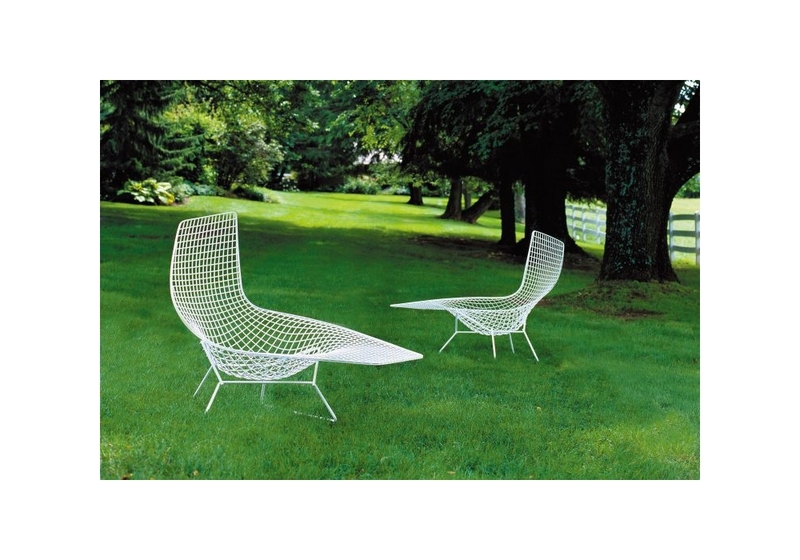 Bertoia is the asymmetric armchair designed by Harry Bertoia for Knoll. 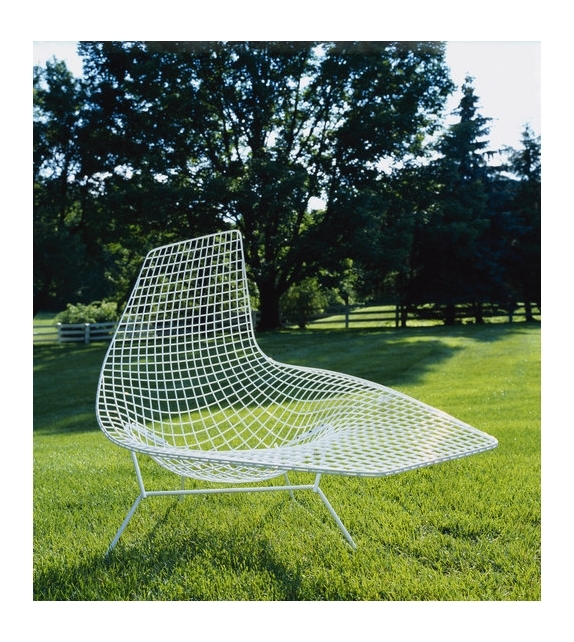 The frame is a welded steel construction with rods in chrome or bonded rilsan. 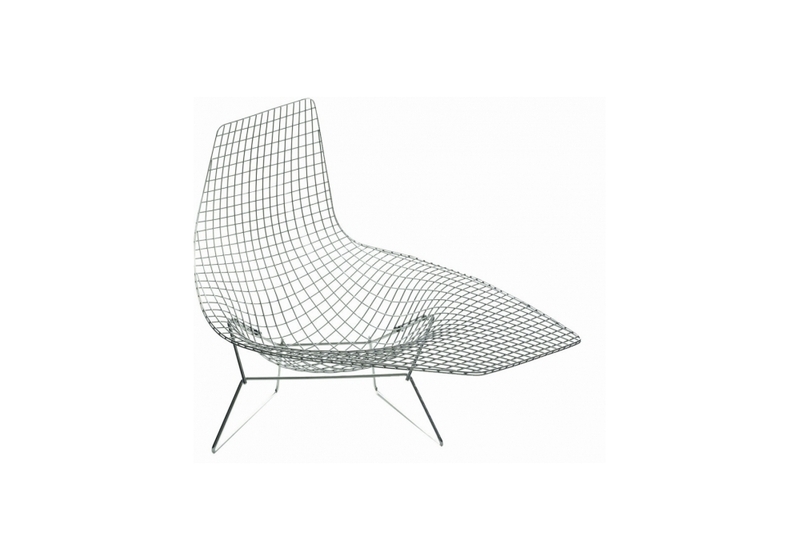 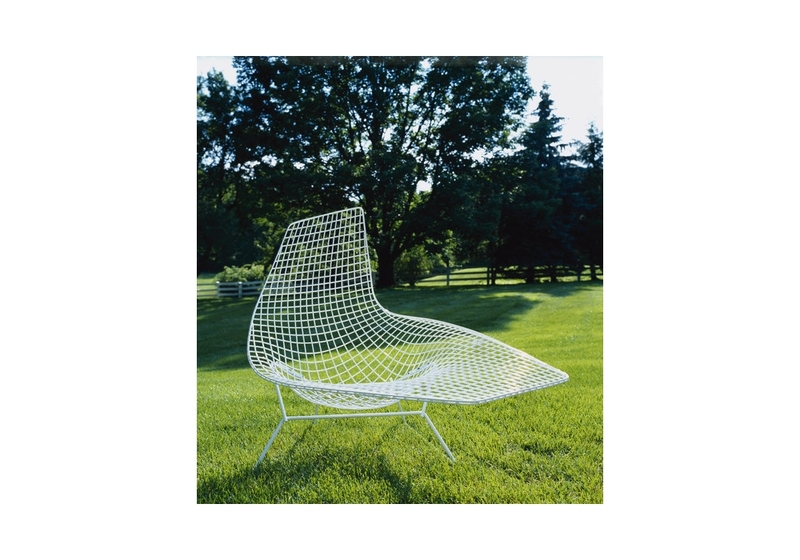 Harry Bertoia's 1950 experiment with bending metal rods into practical art produced a revered collection of seating, Innovative, comfortable and strikingly handsome, the chair's delicate appearance belies its strength and durability.